If the way to a man's heart is through food - then the way to a hikers heart is through comfortable feet! The feet are the gateway to the body for all hikers. 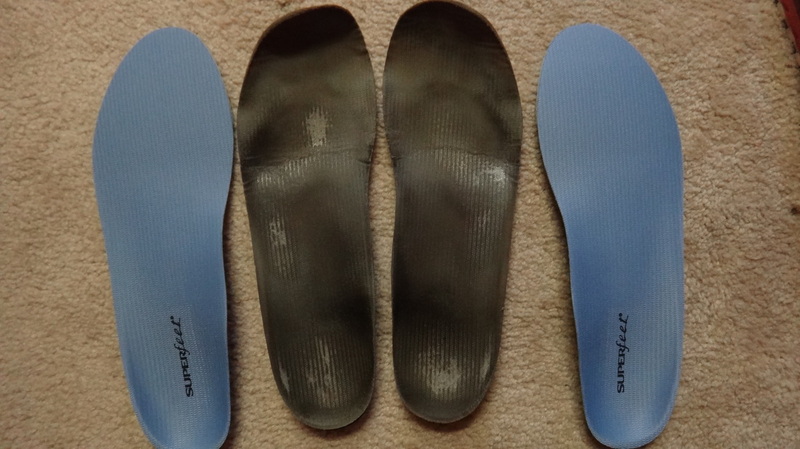 Properly fitting footwear, well thought out insoles and socks, and even correct lacing patterns could all mean the difference between heaven and hell. THIS IS NOT THE AREA TO SIMPLY "WING-IT" OR TO "HOPE IT WORKS". A solid foundation, means a solid building; so do yourself a favor and really put some thought, research, and trail-and-error if needed, into getting the right stuff on your feet. Shoes and boots can be expensive - but knee replacements and arthritis treatments are even more expensive. REMEMBER - just cause it works for someone else, doesn't mean it will work the same way for you. Test it out! Try it on! Get out and Hike! AND FINALLY - KNOW YOUR FEET. Get someone very knowledgeable (NOT your local sporting goods employee) to actually tell you about things such as VOLUME, ARCH HEIGHT, WIDTH, LAST TYPES, LENGTH, and LACING OPTIONS.